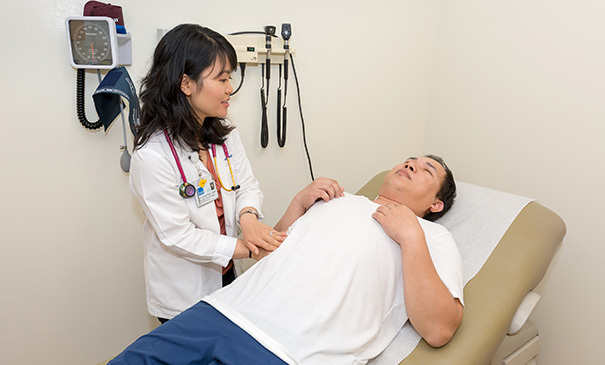 When Christina Pham, ARNP, was in college at UCLA, she volunteered at a community clinic and learned that liver diseases — such as liver cancer and hepatitis B and C — disproportionately affect Asian Americans and Pacific Islanders (AAPIs). The realization inspired Christina to specialize in helping patients with liver disease — she now works at Virginia Mason’s Liver Center — and to pursue ways to make our world-renowned care even better. Christina was recently awarded a prestigious fellowship from the American Association for the Study of Liver Diseases. The year-long fellowships help nurse practitioners and physician assistants get specialized training in caring for patients with liver conditions. Christina will spend her fellowship year training under Virginia Mason’s Blaire Burman, MD, who is one of the nation’s top liver specialists. Christina will also help Dr. Burman conduct research on how to improve liver disease treatment.